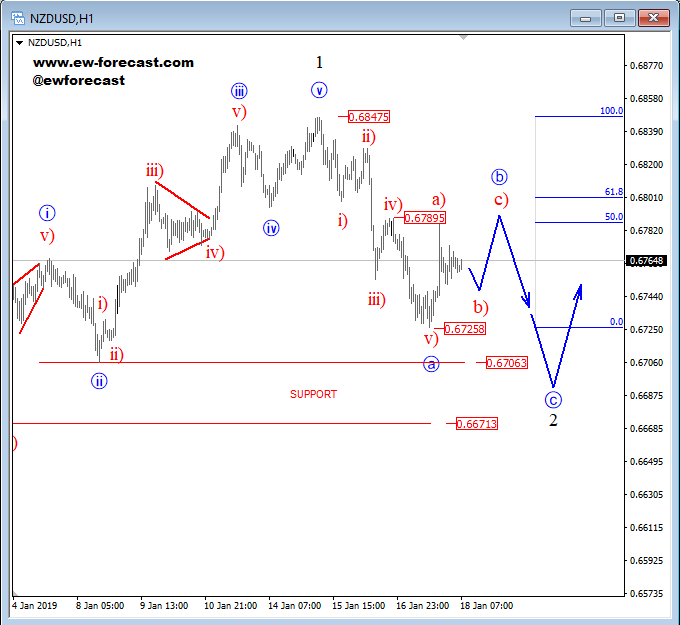 Kiwi is currently trading in a bigger, unfolding three-wave reversal down from the highs (0.684 level) with first leg a already completed. 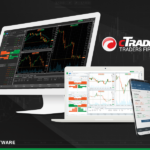 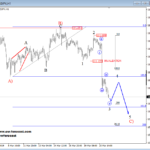 Rally that followed from the 0.673 level can be labelled a temporary pullback as wave b, which can look for resistance and a bearish reversal near the Fibonacci ratios of 50.0 and 61.8 (0.678/0.680 area). 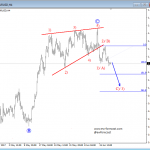 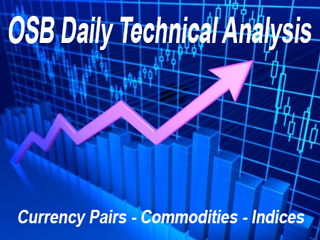 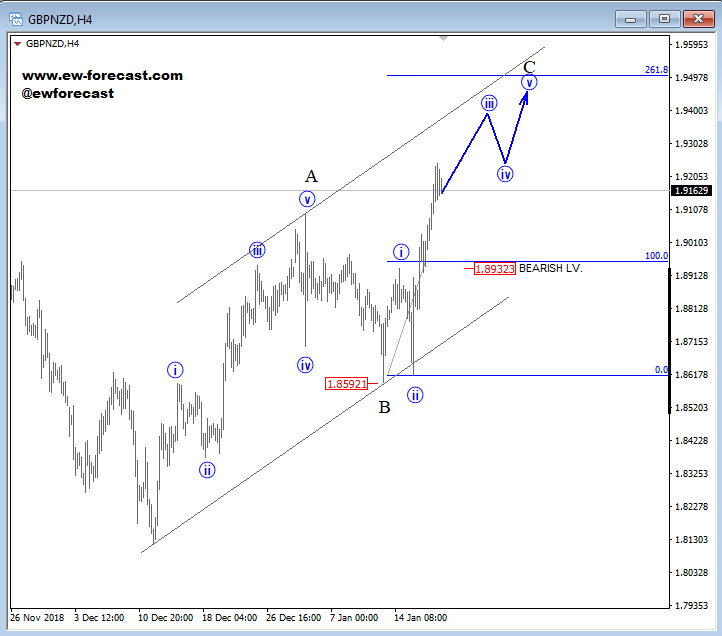 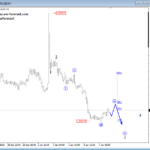 GBPNZD is recovering nicely in a three-wave reversal, which we labelled as in an A-B-C manner. 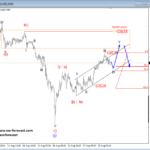 Currently we see wave C in play with its five legs unfolding, which can stop and look for a top, and a reversal near the Fibonacci projection ratio of 261.8 (1.949 zone). 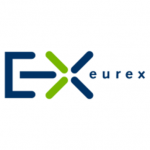 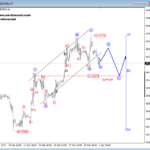 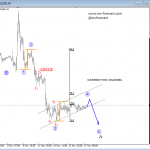 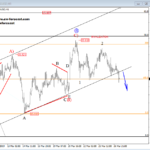 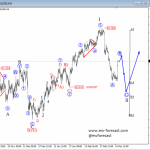 A drop in five waves and below the 1.893 level would confirm a bearish continuation.